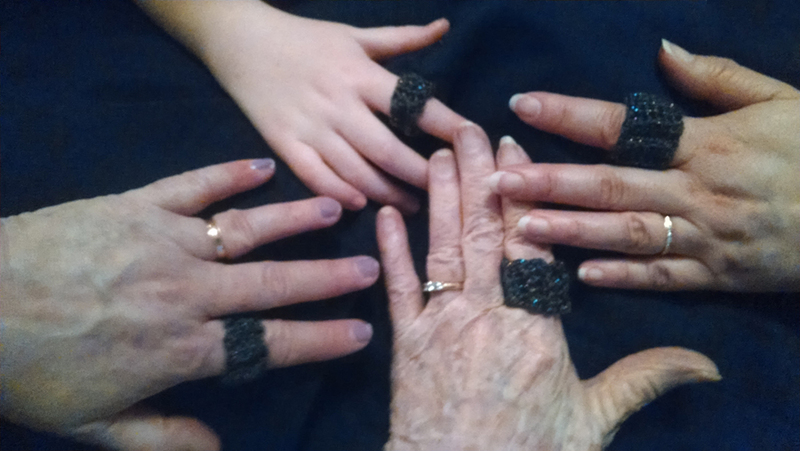 I wanted to send a representation of the four generations of my family. 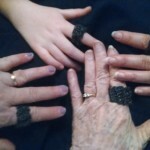 The picture is of four rings, each on the hand of my grandmother, mother, daughter, and myself; strong women that I love. I made a simple crochet ring for each, doing a single crochet in the back loop to give it a little more elastic.